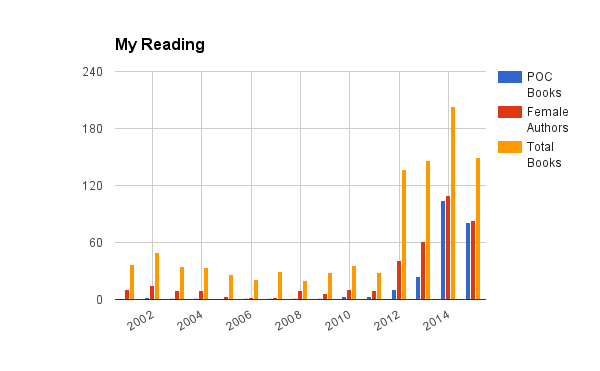 Last year I started tracking diversity in the books I read. It wasn’t exactly good news. It became apparent that race and gender diversity only happen when you’re intentional about it. 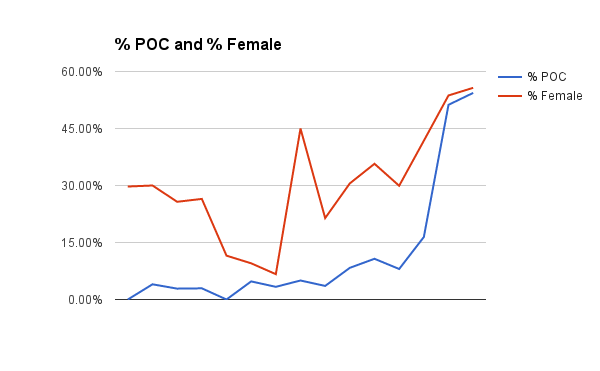 I tracked both the gender and race this year. I base gender simply on the author, counting a book if any contributor is a woman. For race I count a book if a contributor or main character is a person of color.